We're all damaged in our own ways. Nobody's perfect. I think we are all somewhat screwy. Every single one of us. "We're all damaged in our own ways. Nobody's perfect. I think we are all somewhat screwy. Every single one of us." We are all damaged... this is what makes us unique and perfect. "I laugh at myself. I don't take myself completely seriously. 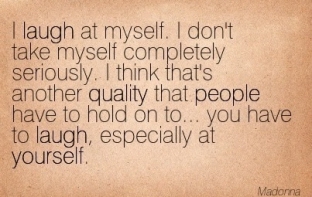 I think that's another quality that people have to hold on to... you have to laugh, especially at yourself." Don't ever take yourself too seriously, it will lead to your demise. "I've been popular and unpopular, successful and unsuccessful, loved and loathed and I know how meaningless it all is. Therefore I feel free to take whatever risks I want." "Sometimes I have wrinkles in the morning. It depends on what kind of night I had. I accept myself and the way that I am growing older. I have eye bags and some have proposed to me to take them out but I said no." Getting Old is nothing to be afraid of, it's a beautiful thing. 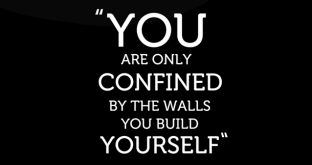 "You are only confined by the walls your build yourself." Everyone needs to cry once in awhile, it's not a sign of weakness.